Monaco’s striker Radamel Falcao has extended his contract with the club for 2 years, till 2020. After an excellent season under manager Leonardo Jardim, the stellar performances by the striker encouraged an extension of the contract for 2 more years. It was reported that Monaco fended off multiple bids from Chinese club Tianjin Quanjian, playing in the Chinese Super League, during the January transfer window. 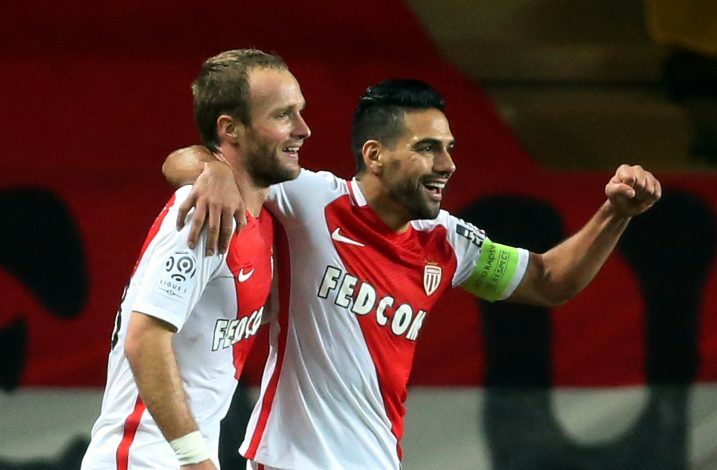 With bids of value over €50 million, Monaco managed to retain the 31-year-old for the future. The French club’s decision to not sell the player paid good dividends. After a despicable run in the Premier League, including loan periods at two goliaths – Chelsea and Man Utd, his return to Ligue 1 was a much better affair. The Colombian went on to score 30 goals and 6 assists in all competitions for the club this season. The new extension would be an add-on from his previous 5-year contract with the club, signed when he joined the team at Stade Louis II in 2013 from Atletico Madrid. The club’s Russian vice president, Vadim Vasilyev, was also delighted on Falcao’s contract extension, as he explained: “I am very happy that Falcao has extended his contract with the club. I have always said that he is one of the best strikers in world football and this season he has proven that his talent is intact. With multiple Monaco players seemingly on their way out of their club, including the likes of Benjamin Mendy and Kylian Mbappe, the club would understandably try its best in retaining its players. After breaking the monopoly of PSG in Ligue 1, retaining a player of quality like Radamel ‘El Tigre’ Falcao would go a long way in attracting further talent into the club.